Breaking Defense reports the US signed off on arms exports worth $192.3 billion over the past year, 13 percent increase from the previous year. The US State Department will increase the size of its staff who handles arms transfers, roll out new changes to its International Traffic in Arms Regulations restricted list, and create new methods of financing foreign arms procurement, reports Defense News. This is part of the push by the Trump administration to sell even more US weapons abroad. California wildfires forced evacuation of Naval Air Station Point Mugu Thursday evening, The War Zone has tweets as the order quickly turned from voluntary to mandatory. Finland blames Russia for a disrupted GPS signal during NATO’s recent military drills, reports dw.com. Finland’s prime minister, an experienced pilot, said such an incident would be treated as a breach of Finnish airspace. The apparent jamming also affected air traffic in Norway. Taiwan’s military is allegedly hoping to purchase MQ-8 Fire Scout helicopters and MK-62 Quickstrike mines from the US, reports Asia Times. L3 Technologies has been selected to demonstrate existing technologies for the US Navy’s Next Generation Jammer Low Band, which will fly on the E/A-18G Growler, reports Shephard Media. Russian fighter jet flew close to a US Navy reconnaissance plane over the Black Sea last week, reports Navy Times. Some analysts warn that the incident raises the specter that the aerial interdiction flights could trigger fatalities and larger conflict. 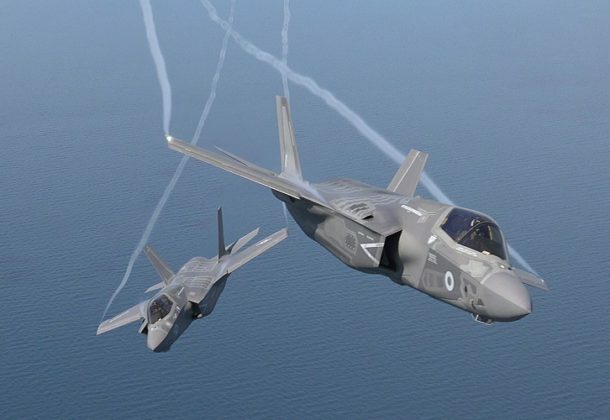 The Air Force’s 388th Fighter Wing at Hill Air Force Base, Utah, pumped out 150 sorties in the past two weeks, in addition to the unit’s normal flying operations, to test their ability to operate the F-35A Lightning II in a deployed environment, reports Air Force Times. General Atomics will build additional MQ-9 Reaper unmanned aircraft for surveillance and attack under terms of a $263.4 million contract announced last week, reports Military & Aerospace Electronics. Last week’s elections might have flipped the House to the Democrats and increased Republican control of the Senate, Defense News reports, but the outcome’s impact on a potential budget deal to avoid the return of sequestration will likely be limited, analysts predict. Defense One says that one thing is certain, a budget battle is brewing. North Korean Foreign Minister Kang Kyung-wha provided no reason, aside from “busy schedules,” for why North Korea canceled the meeting set for Thursday in New York that was meant to discuss ridding the North of its nuclear weapons and setting up a second summit between President Donald Trump and North Korean leader Kim Jong Un, reports Military Times. The US Navy says it will pay closer attention to the work of Electric Boat, its primary submarine builder, reports Breaking Defense. A mistake on ballistic missile tubes in a $128 billion Columbia-class nuclear missile sub almost went undetected. Two airmen were servicing an F-35 when a nearby indirect lightning strike occurred at Hill Air Force Base in Utah, reports Military.com. They were taken to the emergency room for observation, then released without injuries, and no damage was reported to the aircraft. Capt. Mark J. Mouriski relieved RADM Daniel V. MacInnis as Reserve deputy commander of the Naval Air Systems Command during a recent change of command ceremony at Naval Air Station Pax River, reports The Tester. Deloitte & Touche LLP, Arlington, Virginia, was awarded an $18,056,941 firm-fixed-price contract to provide a cyberspace analytics capability. Twenty-eight bids were solicited with four received. Work will be performed in Arlington, Virginia, with an estimated completion date of Nov. 7, 2023. Fiscal 2019 research, development, test and evaluation funds in the amount of $1,250,000 were obligated at the time of the award. US Army Contracting Command, Rock Island Arsenal, Illinois, is the contracting activity (W52P1J-19-C-0004). Parsons Government Services Inc., Pasadena, California, was awarded a $15,837,195 firm-fixed-price contract to provide Defensive Cyberspace Operations Mission Planning program. Nineteen bids were solicited with seven received. Work will be performed in Centerville, Virginia, with an estimated completion date of Nov. 7, 2019. Fiscal 2019 research, development, test and evaluation funds in the amount of $1,000,000 were obligated at the time of the award. US Army Contracting Command, Rock Island Arsenal, Illinois, is the contracting activity (W52P1J-19-C-0005). Constellation NewEnergy Inc., Baltimore, Maryland, has been awarded a $23,896,130 firm-fixed-price, requirements contract to supply and deliver retail electricity and ancillary/incidental services. This was a competitive acquisition with 11 offers received. This is a two-year contract with no option periods. Locations of performance are Maryland, New Jersey, Illinois, and Pennsylvania, with a Dec. 31, 2020, performance completion date. Using customers are Army, Air Force, Defense Intelligence Agency, Defense Contract Management Agency, and other federal civilian agencies. Using customers are solely responsible to fund this requirements contract and vary in appropriation type and fiscal year. The contracting activity is the Defense Logistics Agency Energy, Fort Belvoir, Virginia (SPE604-19-D-8003). Enterprise Services LLC, Herndon, Virginia, is awarded a potential maximum value $485,965,204 modification under a previously awarded indefinite-delivery/indefinite-quantity existing Next Generation Enterprise Network contract (N00039-13-D-0013). This modification will add a new option period that will extend the potential ordering period by eight months from Oct. 1, 2019, through May 31, 2020. Current and future work will be performed throughout the US, Europe, Guam, Korea, and Japan. No additional funding will be placed on contract or obligated at the time of modification award. This contract modification was not competitively procured because it is a sole-source acquisition pursuant to the authority of 10 US Code 2304(c)(1), One source or limited sources (Federal Acquisition Regulation subpart 6.302-1). This action is a result of a justification and approval that authorizes extending the ordering period. 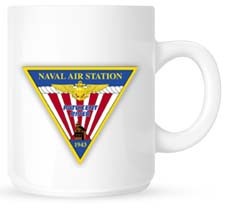 The Space and Naval Warfare Systems Command, San Diego, California, is the contracting activity. VERSAR Inc., Springfield, Virginia, was awarded a $25,000,000 firm-fixed-price contract for support program management, contract administration, project engineering, quality assurance, real estate, and support staff for continued operations in Iraq. Bids were solicited via the internet with six bids received. Work locations and funding will be determined with each order, with an estimated completion date of Sept. 13, 2023. US Army Corps of Engineers, Winchester, Virginia, is the contracting activity (W912ER-18-D-0012). IDS International Government Services LLC, Arlington, Virginia, was awarded a $22,037,300 firm-fixed-price contract for operations and maintenance (O&M) services for critical infrastructure, facilities, and Afghan national O&M vocation training for Combined Security Transition Command-Afghanistan in the planning and construction of Afghanistan National Security Forces facilities. One bid was solicited via the internet with once bid received. Work will be performed in Afghanistan with an estimated completion date of March 11, 2019. Fiscal 2018 Afghan Security Forces Funding funds in the amount of $14,000,000 were obligated at the time of the award. US Army Corps of Engineers, Winchester, Virginia, is the contracting activity (W912ER-19-C-0003).